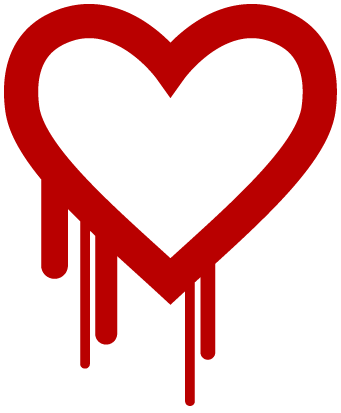 The Heartbleed software bug is not only one of the most serious online security breaches in recent memory, it has also demonstrated how difficult it is for websites to tell their customers whether they’re at risk or not. Q. How do I correct this issue in my Linux instance? Update the OpenSSL package to the latest supported release that incorporates this patch. Connect to your instance using the associated key pair and user name. Run the command sudo yum update openssl. Run the command sudo apt-get update. Run the command sudo apt-get upgrade. By default, the 0.9.8 branch of OpenSSL is installed on SLES, so it is not affected by this vulnerability. Q. How do I confirm the version of OpenSSL running within my instance? Use the operating system's built-in package management tools to query the current release. Run the command sudo yum info openssl. The version displayed should be 1.0.1e-16.el6_5.7 or later. Run the command sudo dpkg –s openssl. On a Ubuntu Server 12.04 LTS the version displayed should be 1.0.1-4ubuntu5.12 or later. On a Ubuntu Server 13.10 the version displayed should be 1.0.1e-3ubunt1.2 or later. After the openssl package has been updated, you must restart any services that use these libraries. This can include Apache, nginx, etc. If in doubt, rebooting the operating system will force all services to use the updated libraries.